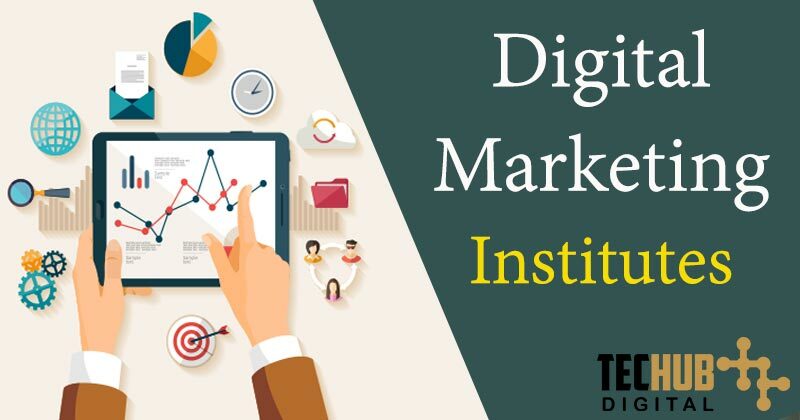 Since jobs in digital marketing are on the rise today, it is becoming one of the most promising career options these days and everybody in search of the best digital marketing institutes in India. As no formal educational qualifications are mandatory to begin a career in digital marketing, acquiring a certain set of skills is necessary to achieve success in this field. So the first question that arises in the mind of a beginner is from where to get appropriate guidance and training to develop those skills. Here is a list of some prominent institutes and their preferred courses to get a good start in online marketing. It is claimed to be one the Asia’s leading Data Science and Digital marketing institute that has completed more than 3,000 training successfully till date. It is one of the first to launch Social Media Marketing workshop series in India. Certified Digital Marketing Master (CDMM) is their flagship course which also allows life-time learning access for its trainees. A live online instructor-led program is able to deliver one of the finest online classroom-based courses to entrepreneurs irrespective of geographical limitations. They also offer various other short courses suited to the needs of candidates. A dedicated placement cell offers active placement opportunities to their trainees. Started by IIT alumnus, Digital Vidya is the official training partner of Google and Microsoft in India. Their partners include many leading brands like Sony, Philips, Motorola, GE, Mahindra, Tata, Reliance, Accenture, Cognizant, HCL, Dabur and more. It is a Banglore based digital marketing institute in India founded in 2009 which provides both online and offline training programs suited to the needs of candidates. Their courses designed by expert authors combine quality training in SEO, SMM, and PPC with practical guidance that ensures professional success. Initially started as a blog with useful tips, it now renders a series of more than 100 certificate courses that are accredited by OMCP. Courses are classified under Foundation, Advanced, Tool based, and Knowledge-based categories. The Digital Marketing Certified Associate (DMCA) will help you to master 35+ digital tools along with Google Adwords, Google analytics, Facebook and youtube with 40+ hours of practice on live projects. It offers 53 hours of instructor-led training and online project mentoring sessions. It is the apex body of the management profession in India. Marketing has witnessed a drastic change in the era of digital revolution. AIMA along with Digital Vidya offers a joint certification program in digital marketing and analytics. It covers essential marketing concepts, usage of statistical tools for analysis with deep knowledge of online marketing and analytical tools. The course designed by subject experts consists of 6 imperative modules. The program is suitable for professionals of all levels seeking knowledge of digital strategies to gain competitive advantage. The course is offered during the weekend and set to complete in 3 months. AIMA is no doubt one of the best digital marketing institutes in India!!! NIIT is a well-known name for expert guidance in the field of Information Technology and computer guidance in India with over 100 learning centers across 30 cities. NIIT provides various courses for working professionals, graduates, and college students too. In partnership with the Digital Marketing Institute (DMI) of Ireland, it provides a professional diploma in digital marketing called NIIT Imperia. The course is certified by the Further Education and Training Awards Council (FETAC) of Ireland. The course covers industry-relevant content created by DMI of Ireland. The fields included in this program covers an introduction to digital marketing, SEO, SMM, PPC, web analytics, Mobile marketing, e-mail marketing, and digital display advertising. The aforesaid course prepares to acquaint with every elementary aspect of marketing and its online application. It suffices one to begin one’s online business from the conventional position. Hence, it has proved to be successful with many trainees been able to start their own entrepreneurship. Edupristine is a leading trainer for international certification in finance, accounting, and analytics. They have branches in cities like Delhi, Mumbai, Banglore, Hyderabad, and Pune along with international locations. Established in the year 2007, Edupristine offers both offline and online training modules. Each one of the 12 session training is dedicated to a particular specialization of digital marketing like SEO, PPC, SMM, E-mail marketing, Affiliate marketing, web analytics, Video marketing etc. It also offers a digital marketing Master program which is a 100-hour intensive program delivered by industry veterans aimed to provide practical learning and placement assistance. This will make you familiar with 40+ tools while covering 25+ modules. Over 15 certifications can be obtained on the successful completion of the program. Apart from selecting institute, another aspect is to attain success in the field for which self-motivation, problem solving skills, diligence is some of the traits that will set you apart from the crowd. Since digital marketing is a practical field, so one has to keep experimenting as much as possible to gain maximum out of the program.